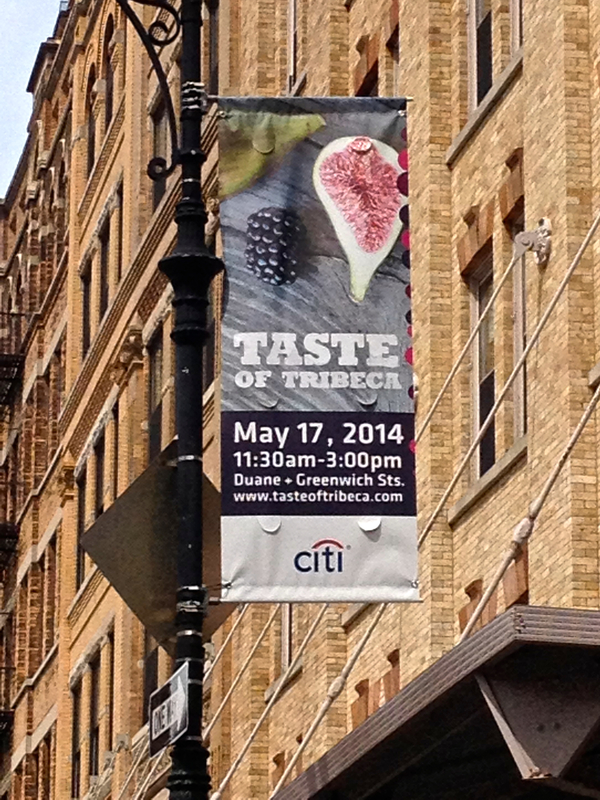 The first Taste of Tribeca 2014 banners went up today on Greenwich St. at the corners of Harrison (by Sarabeth’s) and Duane (by Roc). Soon more will be unfurled all along Greenwich and Hudson Sts. 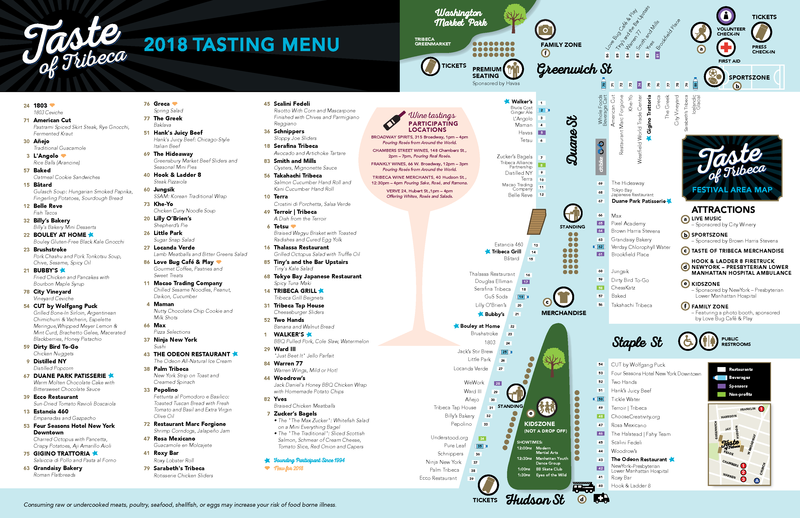 and further north at certain bus kiosks in Soho and the West Village. Check them out!